Click on this image to view the pdf of this brochure from the SSHSA Archives. SOCIAL STUDIES – Before World War I , immigration to Providence, Rhode Island consisted of people of Italian or Portuguese descent. Often people came to the United States fleeing their native lands for economic reasons. But repressive conditions also drove others away. The Italians settled in Federal Hill, Silver Lake, the North End, Johnston, North Providence, western Cranston and West Warwick. They worked in the mills or on small farms. The Portuguese mainly went to Fall River and New Bedford. Smaller communities settled on Cape Cod, the East Bay in Rhode Island and Fox Point in Providence. At the beginning of the 20th century, Providence began projects to improve the harbor at the head of Narragansett Bay to allow for increased shipping. Rail lines connected it to the rest of the country. At the same time, the port of New York experienced increased congestion. Providence’s maritime commerce grew. In 1909, voters authorized $500,000 to be allocated to purchasing and improving shore property. Around 1910, preparations began in Providence Harbor for transatlantic shipping. By 1911, the Fabre Line had announced its intention to call at Providence. 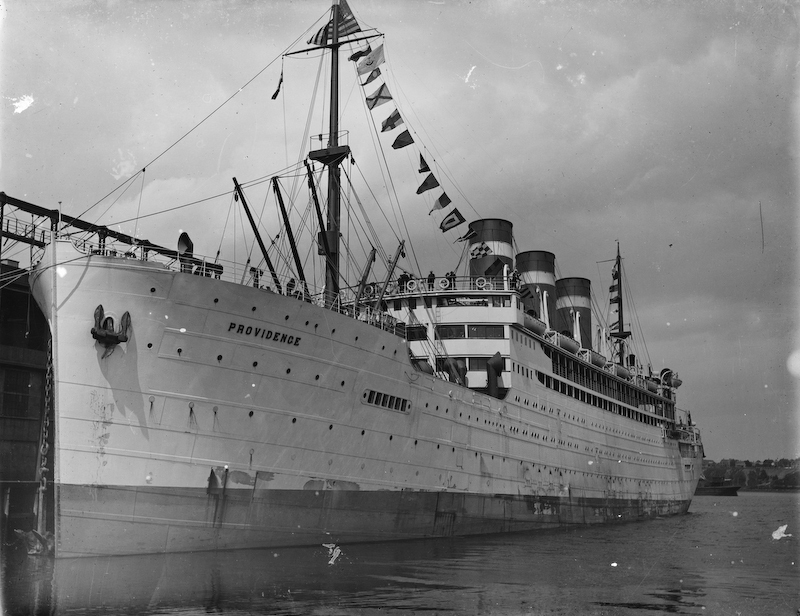 SS Providence of the Fabre Line. From the Jess Welt Collection, SSHSA Archives. 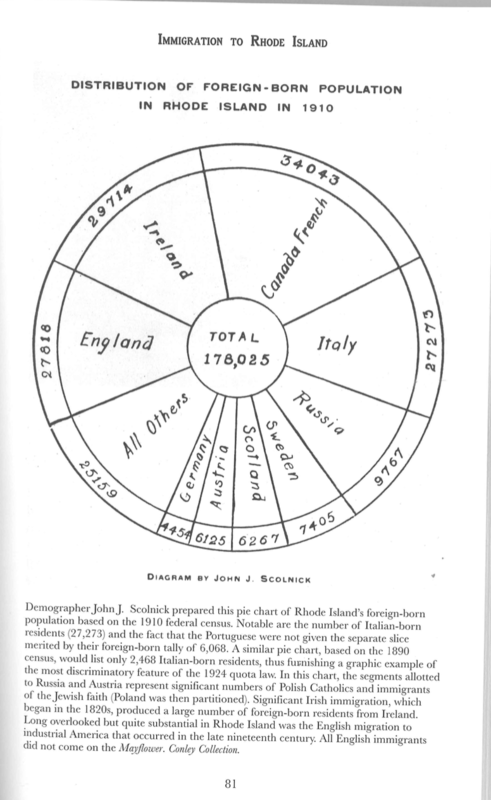 It felt Providence was marketable to immigrants, especially to the Portuguese, because of the city’s already established Portuguese and Italian communities. The Fabre Line’s Madonna would sail from Marseilles, France, on June 3, 1911, and visit Italy, call in the Azores and then continue on to Providence and New York. Between 1911 and 1914, the Fabre Line carried 30,000 passengers to Providence, most of them immigrants. From Patrick T. Conley and William J. Jennings Jr.’s Aboard the Fabre Line: Immigration to Providence, Rhode Island. The company began marketing to Europeans, stressing that cargo could be transported to America more cheaply through Providence rather than New York. However, with the onset of World War I (1914-1918), the numbers for passenger travel diminished, as did the hopes for the port of Providence and business. During the war, many of the Fabre steamships served as hospitals and carried French colonial troops to the western front from North Africa at the request of the French government. The federal Literacy Test Act of 1917 also limited immigration. It required immigrants over the age of 16 to be able to read “not less than 30 nor more than 80 words in ordinary use.” Laws and war deeply affected immigration, but so did the general American attitude after the war and the influenza pandemic of 1918-19. As immigration began to surge once again, this time with Slavs, Jews, Greeks, Arabs, Portuguese and Italians, some Americans viewed these new immigrants as threats to American values and culture. 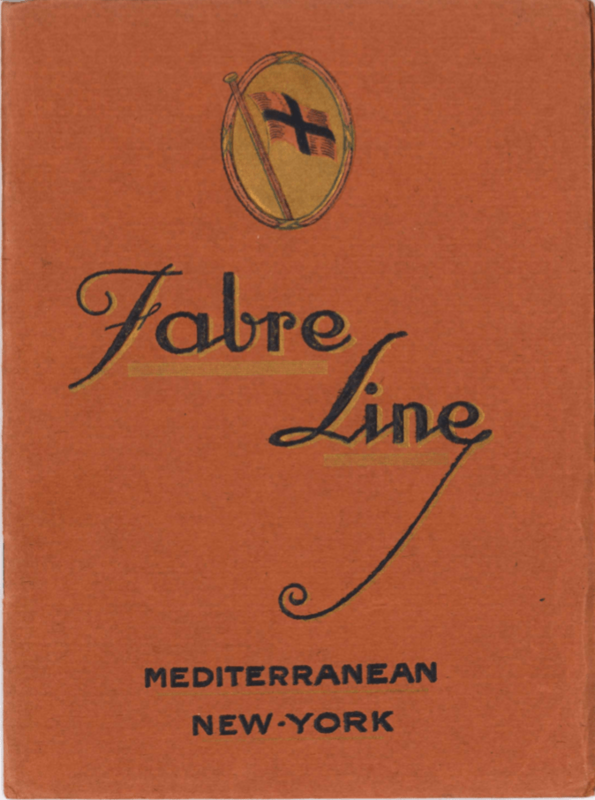 By the beginning of 1920, the Fabre line resumed business at pre-war levels, especially with its immigrant travel. At the same time, many local Portuguese returned to their native land to visit relatives they could not see during the war. 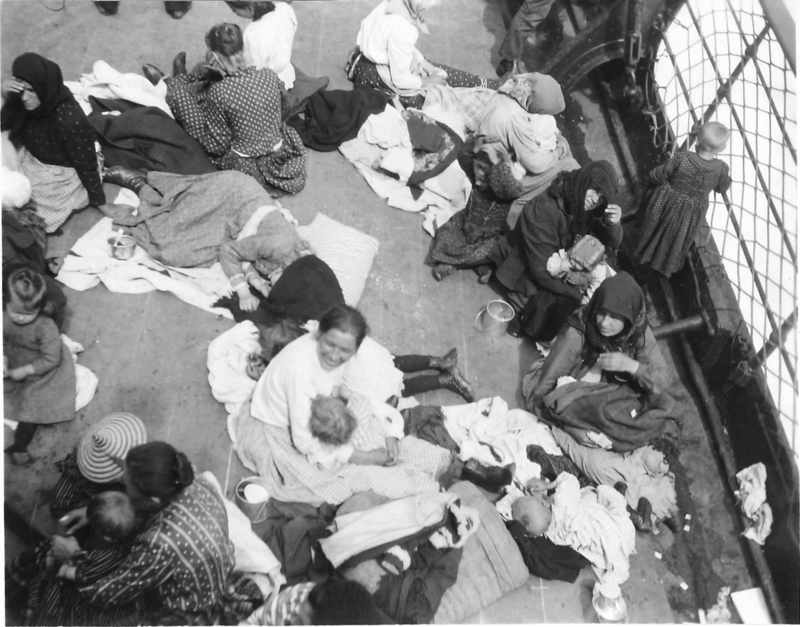 Steerage passengers on board the Kaiser Wilhem Der Grosse, c. 1902. Photo courtesy of the Library of Congress. The next decade brought additional difficulties for the Fabre Line in terms of its immigration traffic. The Emergency Quota Act became law on May 19, 1921, and took effect July 1. It added two new features to American immigration law: numerical limits on immigration and the use of a quota system for establishing those limits. The second legislative act aimed at limiting immigration was more stringent. The National Origins Act of May 24, 1924, put a cap on immigrants coming from southern and eastern Europe after the war. At the time, Americans felt that these people with different linguistic, cultural, religious, and ethnic backgrounds could not be assimilated. This attitude toward immigration continued through the Fabre Line’s operation in Providence and lasted until 1965. Fabre Line brochure from the SSHSA Archives. With these increased restrictions on immigration, the Fabre Line sought to diversify and include more eligible immigrants. In 1923, it began service eastward in the Mediterranean. The Providence Journal began reporting the nationality of these new immigrants. They included: persecuted Armenians from Turkey, Christian Syrian and Lebanese fleeing Muslim rule, Greeks, Jews from a number of countries, and Ukrainians and Romanians leaving the Black Sea area. Some immigrants from Portugal, Italy, Greece, and Armenian lands began using fraudulent return permits to enter the United States. The quotas for these countries were small and therefore filled up quickly. Inspectors began to tighten security at American ports. During the 1920s, Providence was ranked third in immigrant-receiving ports along the Atlantic coast. More immigrants aboard the Fabre Line disembarked in Providence compared to New York during the 23 years that Providence was a transatlantic port of call. Immigrants came to the United States for many reasons throughout the years: economic hardship, religious persecution, war, or famine. Whatever the reason, steamship companies like the Fabre Line reaped the benefits. Passenger travel, with immigrants making up the largest portion of passenger manifests, kept the Fabre Line afloat economically. Immigration began to slow down significantly and the economic downturn of the 1930s forced the Fabre Line to end its operations in Providence in the summer of 1934. How did the American public view immigrants of certain nationalities during the Fabre Line years and can we see any similarities or differences to how Americans view immigration today? Have the reasons for immigration to the United States changed since the early 1900s? What role has legislation played in increasing or decreasing immigration to the United States? View complete lists of passengers on the Fabre Line. View a letter to W. E. B. Du Bois from the Fabre Line concerning a request for travel to Central America in 1925. View an 1887 advertisement for the SS Burgundia of the Fabre Line. William J. Jennings and Patrick T. Conley, Aboard the Fabre Line to Providence: Immigration to Rhode Island (Charleston, SC: The History Press, 2013). Patrick T. Conley, “Providence and the Fabre Line,” Steamboat Bill (v. 270, pg. 21).